Mounted on a beautiful gloss black hardwood shaft, ending in a fixed white metal ferrule. 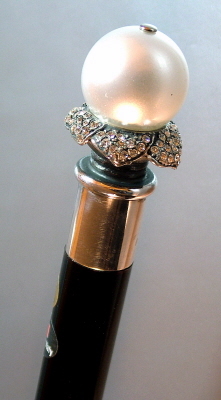 This cane is designed as a Dress cane for light use. This cane should not be used as a heavy duty disability aid.